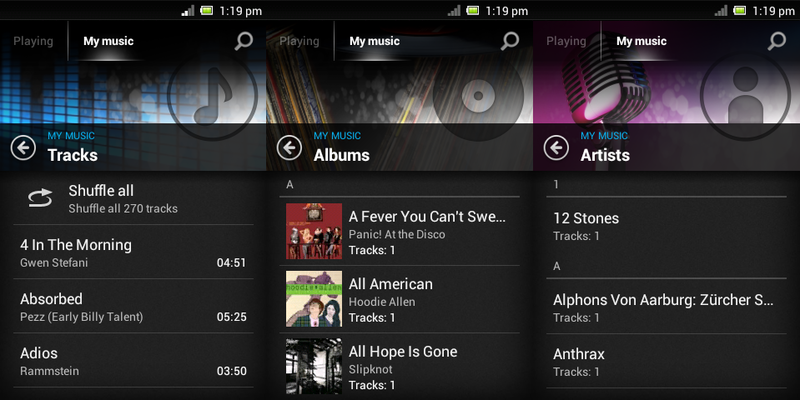 You can find several music players available for Android on the Google Play Store including Poweramp and PlayerPro. However, some people are still not satisfied and they keep looking for better music players, not just for better features but also for the design. Sony’s new devices have received a lot of popularity and it recently brought in the Walkman player for the Sony Xperia S. The Walkman player was initially released for the Sony Live with Walkman phone but as users really liked the music player, Sony started adding the Walkman player in its new Xperia line. It is probably one of the best music players out there and it looks brilliant. 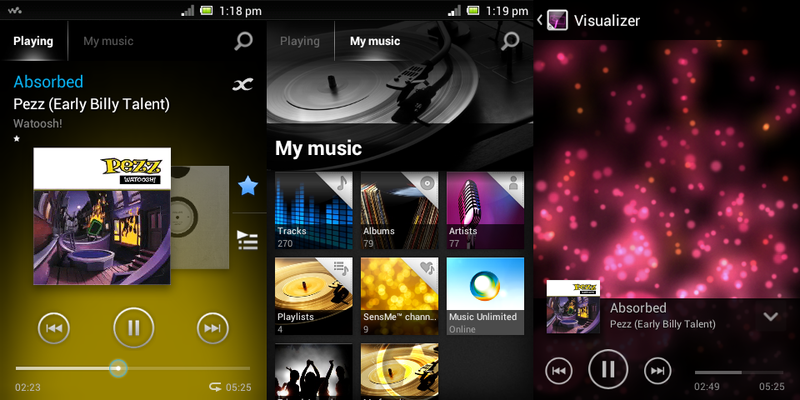 Developers on the XDA have successfully ported the Walkman Player on ALL ICS and Jelly Bean devices. 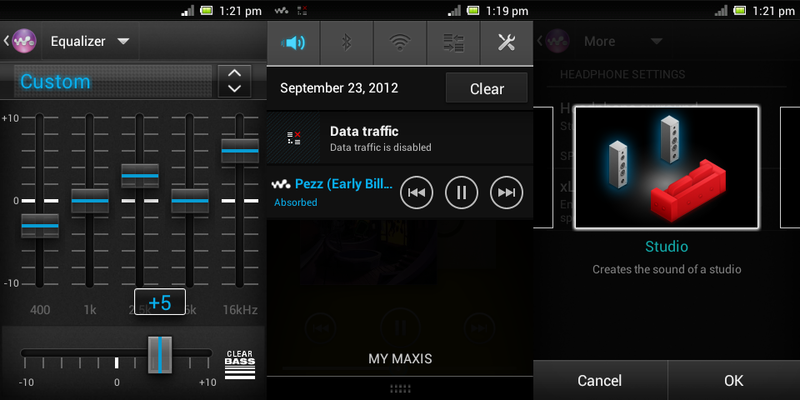 The port for ICS/JB devices supports almost all features of the Walkman Player except for the Walkman widget. Other than that, the player is fully functional and is the same as the new Walkman Player on the Xperia T. The background color change is working and you can control the music player from the App Drawer as well. The Walkman player also supports finding music info using the internet connection. You can get album art and mp3 tags using the feature. 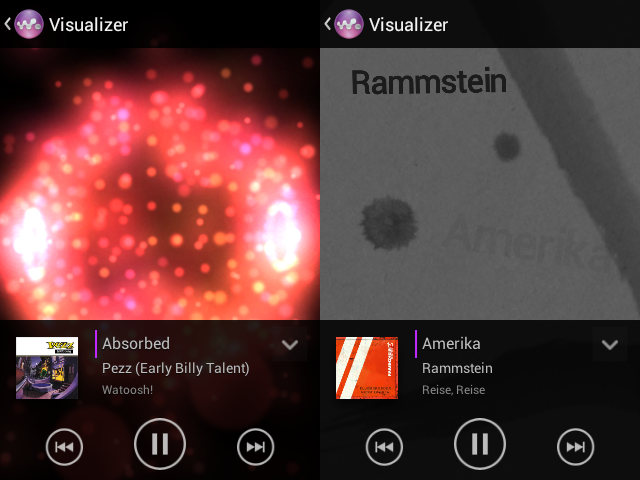 The visualizer feature is also working quite well in the ported Walkman Player. You can download the flashable zip file using this link. Once downloaded, you can flash the zip file using CWM recovery. Once you flash the Walkman player, you can flash the visualizer zip using this link and you can get Sony’s clear bass effect using this link. Make sure that you create a Nandroid backup first as the visualizer and clear bass files will replace the phone’s soundfx lib files. Also, if you are using any other equalizer including Beats or DSP Manager, then make sure that you remove those files first or the new soundfx files won’t work. Works good on my Galaxy Exhibit II 4G (running Cyanogen Mod 9), but I have no idea how to install the equalizer. What do I do with the files in the rar package? Wouldn’t install on my Acer Iconia A501 running TegraOwners Jelly Bean v12 rom and test kernel 4. CWM 1.7.3 kept aborting because of “error” in package. The package is fine though, it’s the same one I flashed on my Exhibit. Hi, just change the .rar extension to .zip and flash the equalizer. Probably wont work on iconia JB because of the framework. Didn’t work. Also unpacked and re-compressed as a zip.. no go. Perhaps a corrupt download.. dunno, I didn’t try to d/l it again. I ended up reinstalling DSP Manager and flashed the player only. The DSPManager seems to work okay for me. There were a couple of hiccups, but sound changes were noticeable when changing presets, while playing songs in the player. I was also able to install the visualizer and it worked fine with DSP installed. So, running good on my Samsung Exhibit phone, but Acer A501 is a no go. are you running ics on your neo v? and if you are running ICS and are rooted, then just download the zip files and flash them using recovery. 3rd file.. clear bass didn’t install.. flashing aborted by cwm, reason “bad” file. btw, very nice work done. sounds have improved to very much extent. Thanks for that.